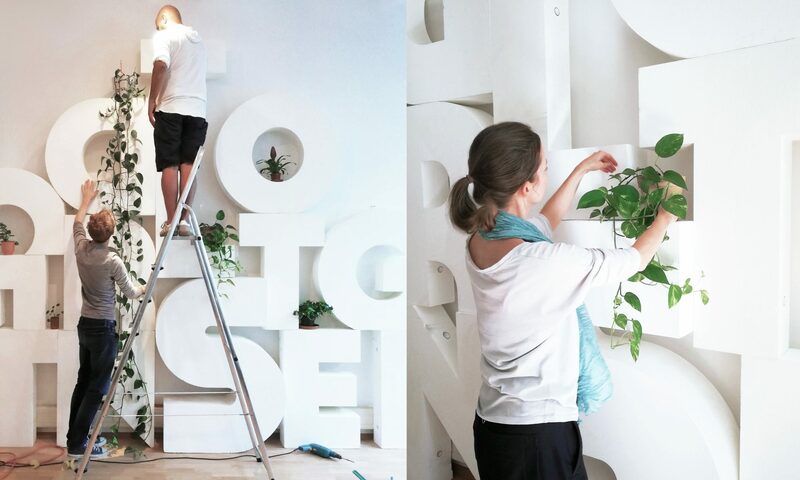 We want to help you to give a creative & meaningful identity to a central space in your office, cafe, store or startup space that will reflect your company’s identity and values. We have created this service package for small startups, smb’s and stores who are looking to upgrade their work- or business space instantly and in a unique way, but on a very tight budget. We will visit your space and analyse together with your existing assets. Together with you, we will define your main goal – for instance: you want your clients to get the right first impression, or your workers to feel more inspired at their workplace. Based on that, we will pick out the most important place in your office that really needs an urgent upgrade, and create an impactful intervention that will be personalized to the needs of your space and your own goals. Prices are ranging from €500 – €1000 – depending on existing assets, materials used and scope of the intervention (which will be determined together with you in advance). We will take everything else on us: the creative concept + its implementation. Does this sound interesting for you? If yes, we will come to your space in order to discuss the options together with you, and you’ll receive from us an immediate and free, non-binding offer. Just contact us, and we’ll get in touch with you!